Well, folks, it is that time of year where everyone in their right mind becomes un-right. 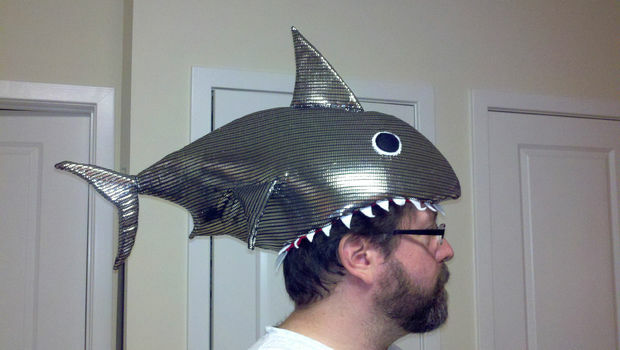 People’s minds get infested…like the oceans apparently…with sharks. This next week is one where people are so obsessed with teeth, Jaws, bites, and blood that this deserves its own holiday spot on calendars. 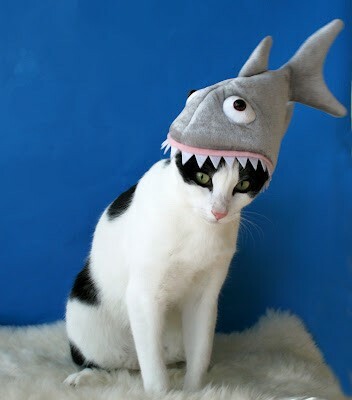 Even our pets are suffering from our sporadic infatuation of the bone-crunching monsters of the sea. If your cat or dog could speak to you, they wouldn’t…they would just slap you. First, some of the clothing options become…special. Some of the things people wear this week are “People of Walmart” level. You will start to see shark shirts and tanks everywhere for the next few days. It’s a yearly craze that cannot be stopped. You may as well stock up now for the rest of your life. 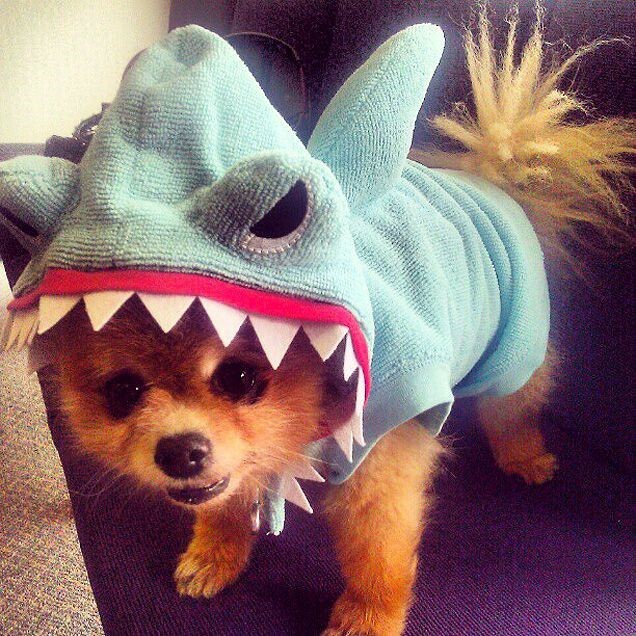 However, sometimes the line between clothing and costumes gets blurred. 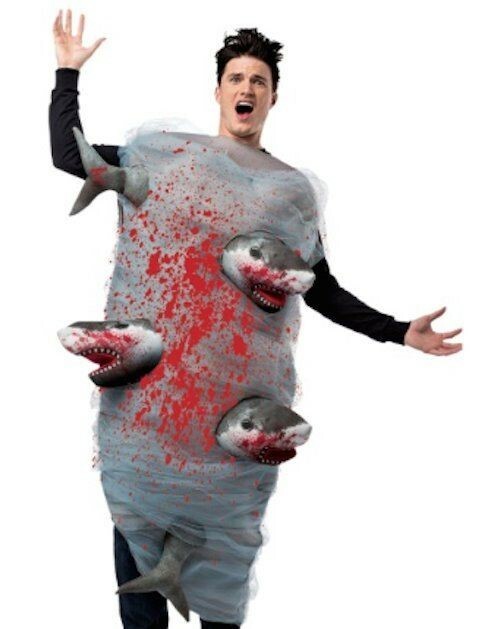 If ‘normal’ clothes aren’t enough for you to show off your recently acclaimed fascination of sharks, try a costume. People dress up like it is Halloween, and yet no one questions is. It just proves you are extremely dedicated, like these here fine gentleman. 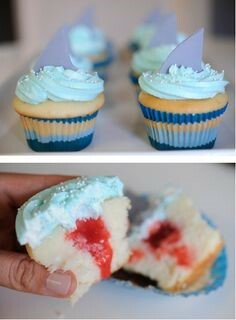 Next comes shark-themed munchies at your neighborhood Shark-Week-party. These snacks go above and beyond in making you lose your appetite. Ah, the site of blood really makes me hungry. Thanks for now ruining food for me, Discovery Channel. 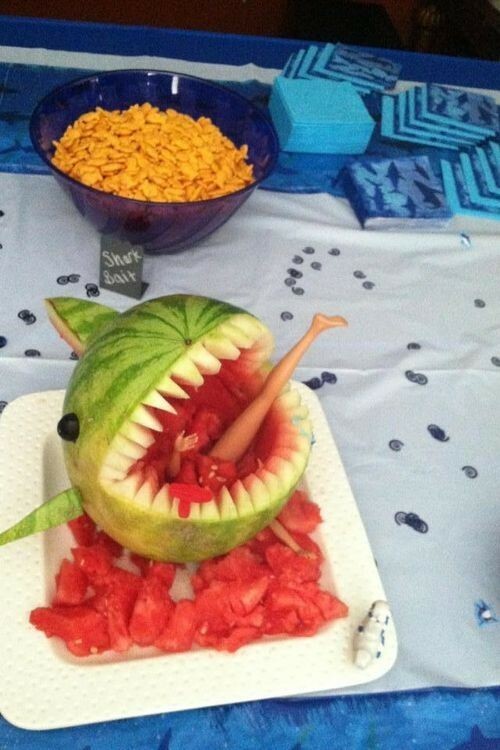 I can no longer eat watermelon without a little gag first. 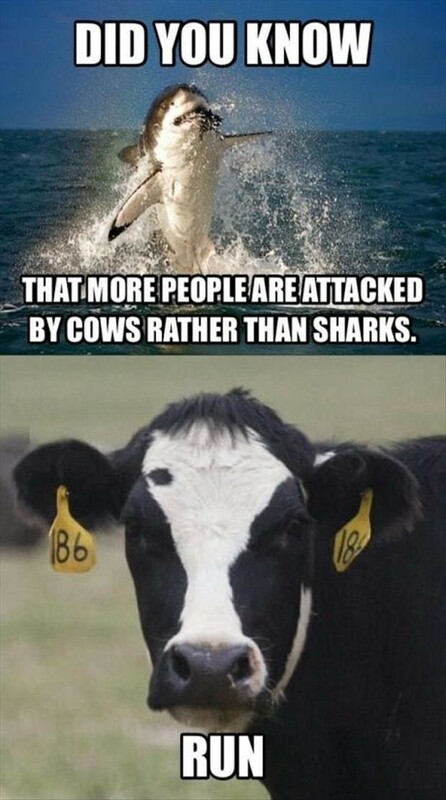 Then come all of the facts that completely reverse the idea of shark week. 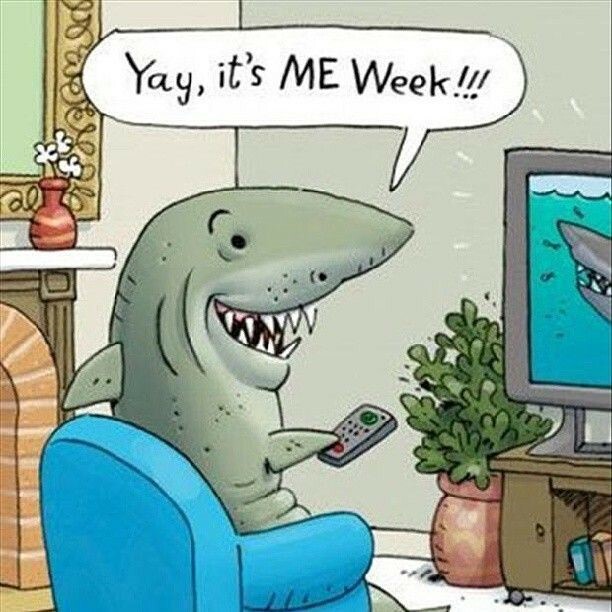 See, by making a 7-day event on just sharks, it would seem that the oceans are crowded with them and shark attacks happen on the daily. Then, you find out that none of this is actually true. Thus, the entire premise of this week is reversed. We are simultaneously becoming terrified yet calmed. Thanks for the emotional confusion, Discovery Channel! So turn on the TV and start your week. We all get sucked into this non-official holiday. 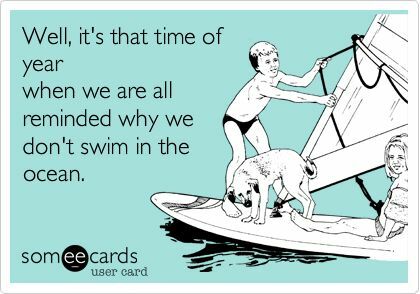 It’s time to re-live your childhood fears of going into the water at the beach. 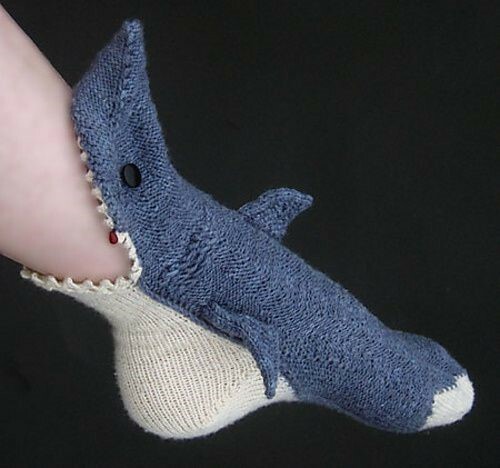 It’s time to have Jaws nightmares again. It’s time to watch TV in a cold sweat.